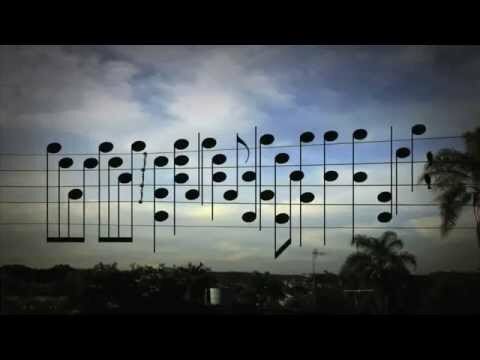 One morning while reading a newspaper, Brazilian composer Jarbas Agnelli saw a photograph of birds on an electric wire. He cut out the photo and was inspired to make a song using the exact location of the birds as musical notes. He was curious to hear what melody the birds created, and the result was hauntingly beautiful.